Marketers of today face many dilemmas – customers are going mobile, more demanding, and less loyal. The industry leaders have started embracing customer-centricity as a vital way to grow their companies and strategies that are more customer-driven in place of the more traditional business or product-driven ones. However, it is not as simple as putting the customer at the top of your priority list. There are other approaches you can employ when it comes to customer-centricity, and most of them revolve around what the customers need. But before we proceed to those factors, let us first answer an imperative question about this topic. What Does Being Customer-Centric Mean? You’ve probably heard from some of your peers, or maybe you are experiencing this yourself, that companies are now transitioning from product-oriented to customer-oriented and the strategies are different when it comes to acquiring new and return customers. The customer-centric approach tries to answer the question of what matters most to buyers. It’s not a new term among marketers. However, I believe only a few actually understand it. Super Office, an awarded-winning Customer Relationship Management software developer, defines being customer-centric as not just having great customer service but offering an excellent overall customer experience. That means a customer is at the centre of a significant expertise in all aspects of his journey – from awareness, purchasing process, and even the post-purchase process. Still think that customers are not king? According to a study from Walker Info, by 2020, customer experience will overtake price and product as the way brands differentiate themselves. Now, that we have defined what it means to be customer-centric, let us proceed on how we can make your company more customer-centric. 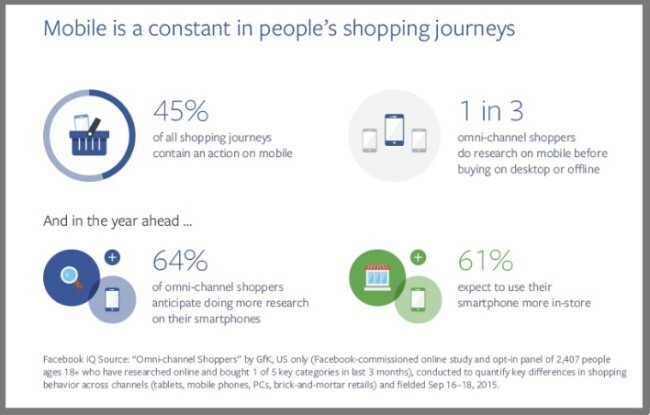 Omnichannel marketing is one of the hottest marketing terms right now. Simply put, it is the seamless integration of all the points in your customer’s journey. In the old days, a customer’s journey was quite simple; go to a brick and mortar store and ask a salesperson about the product that piques your interest. The end of the customer’s journey is either leaving the store or going to the cashier to purchase it. Nowadays, it is not as simple as that. Customers have an array of devices to do their shopping and usually go to different points before arriving at the purchasing part. While most users start their online journey using mobile devices, they could end up purchasing it on a desktop or tablet a few hours later. Making this entire process as seamless and as hassle-free to the customer is at the heart of omnichannel marketing. Starbucks is a great example of a company doing omnichannel marketing the right way. Their loyalty card app gets you free rewards when you purchase inside their stores. However, Starbucks goes far and beyond a simple rewards card program and lets their reward app users update and reload their cards through mobile, in-store, website, or on the app itself. Every single change on the app automatically updates the user’s profile across all channels. As you can see, many companies are thinking they are doing a good job in handling their customers. However, only 8 percent of those companies do. It can’t all be lip-service when it comes to being customer-centric, it has to be your company’s mission. -Amazon prioritises the development of products that the consumer wants and needs like the Kindle and FireTV. -The company has a culture of metrics wherein they do head-to-head tests of customer’s reaction based on their different site features and designs. These are times when customers liking your brand isn’t enough to keep them loyal but being “right for them” is. According to the American Marketing Association, Home Depot’s sales reached 19.7 billion after they started offering a wider assortment of products that their customers need. Here’s what Home Depot CIO Matt Carey has to say. So how did Home Depot do it? In addition to the products, Home Depot also focused on the customer experience of checking out by standardising the process across all channels – in-store, online, mobile, and in-home. They also updated their management system, so associates can have more time assisting the customers instead of spending time on the computer. All these ultimately led to their success – and they are even reinvesting more on customer experience this year. Check out the tweet below. In Vietnam, Thanh Nguyen created a company named Anphabe, which is best described as a Vietnamese version of LinkedIn. The company works hard to have an efficient networking platform that can connect millions of professionals in Vietnam. -Their 24/7 “My Account” feature provide their customers with a real-time status of their car insurance claim. Customers can check as often as they need. -USAA is the first bank to make iPhone deposits to their customers. This nifty app allows clients to use an iPhone to scan an endorsed check and have it deposit straight to their account without having to go to the actual bank. -Soldiers on the field are offered a text account balance service. Another company that implements transparency and innovation is China’s biggest tech start-up — Xiaomi. They are a cell phone manufacturer, but Instead of starting with the hardware, Xiaomi first focused on software. The brand, which started back in 2010 went on bulletin boards, forums, and discussion places where most Android users were. From the forums, hundred were recruited to download, test, and give their feedback about different versions of Android that they developed. As soon as they got that right, they started making the hardware, and after over a year, the first phone model was born. In an industry where being secretive is a norm, Xiaomi has a very open environment and Lei Jun, the company’s CEO, credits their customers for a third of the features added to their operating system and for reaching more than 100 million users to date. Check out the video of their latest smartphone below. Focusing on the big picture will keep everything on track, but it is easy to overlook the other facets of the company. It is sometimes the little things that are the most memorable to the consumers. Sweating the small stuff usually doesn’t cost much, but it will go a long way in creating a lasting relationship with your company’s customers. Companies who use this approach appears to be friendlier and to be showing a more genuine concern for their customers. In return, customers will more likely form a stronger bond and increase their loyalty to these brands. Customers nowadays drive the marketplace and companies are taking notice. Back in the day, the primary driving force behind sales is a superior product and excellent service. Now, times have changed, and consumers are valuing the experience more than the product itself. A seamless experience across multiple devices and marketing channels is now at the forefront of brand and customer relationship. The ability to address your customers’ needs is, therefore, more important than ever. With all the new companies and products popping up at a fast rate, the capacity to create a bond with your customer becomes even more essential than the quality of what you are selling. With a better understanding of customer-centricity, you are on your way to a profitable marketing strategy. However, one thing that you should look out for is how to accurately localise your marketing efforts when dealing with a foreign market. In the next chapter, we will discuss how you can localise your website for the Asian market. The post 5 Customer-Centric Approaches That Makes Sense appeared first on 2Stallions Digital Marketing Agency.